1. In a nonstick skillet, heat oil and cook onion, garlic, chili powder, salt and pepper. Stirring often, for 5 minutes or until onion is softened. Add beef and salsa; cook, breaking up beef with back of spoon, for about 3 minutes oruntil beef is no longer pink. Add peppers and zucchini; cook, stirring until tender-crisp-and liquid has evaporated. 2. Meanwhile, heat tortillas until warmed through. Stir sour cream with mustard. 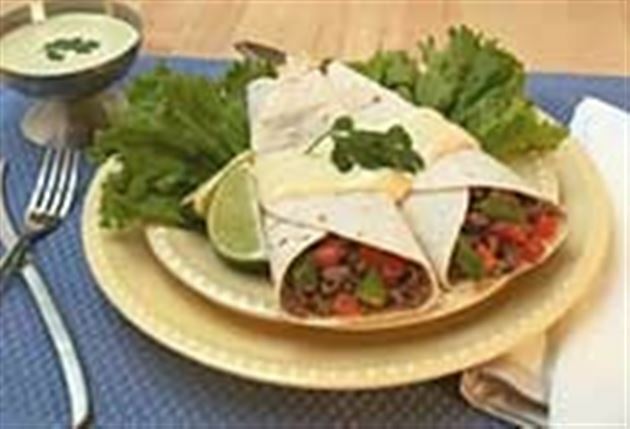 Divide beef mixture among tortillas and roll up. Serve with sour cream mixture. Enjoy this delicious beef fajitas Mexican recipe!